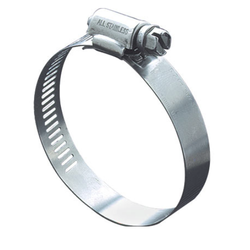 We are the leading Supplier & Manufacturer of Band Clamps. Our product range also comprises of Worm Drive Hose Clamp, Heavy Duty Bolt Clamps and Fix Nut Bolt Clamps. We specialize in manufacturing and supplying a wide range of Band Clamps. Our Band Clamps are engineered using best available technologies and demanded their precision engineering and accurate dimensions. Robust design, durability, and application specific construction of these Band Clamps make this preferred choice of customers. Our Band Clamps are acclaimed for high performance and durability.